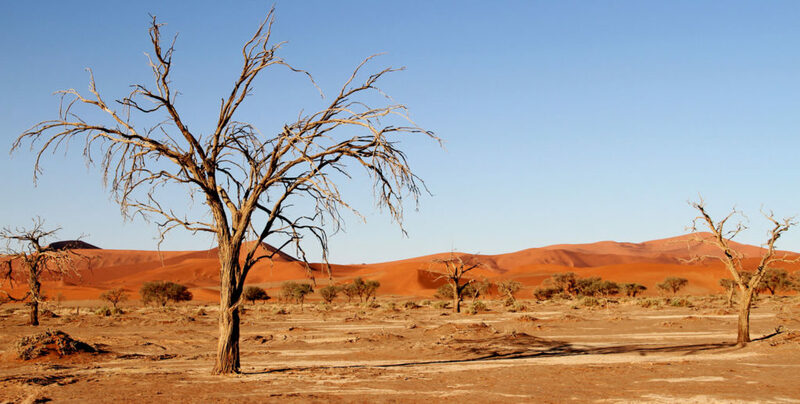 Our next model takes it’s name from the biggest desert of Southern Africa – the Kalahari. This is a desolate landscape that is harsh, unforgiving and beautiful. It is ever changing and to the observant, abundant with life. 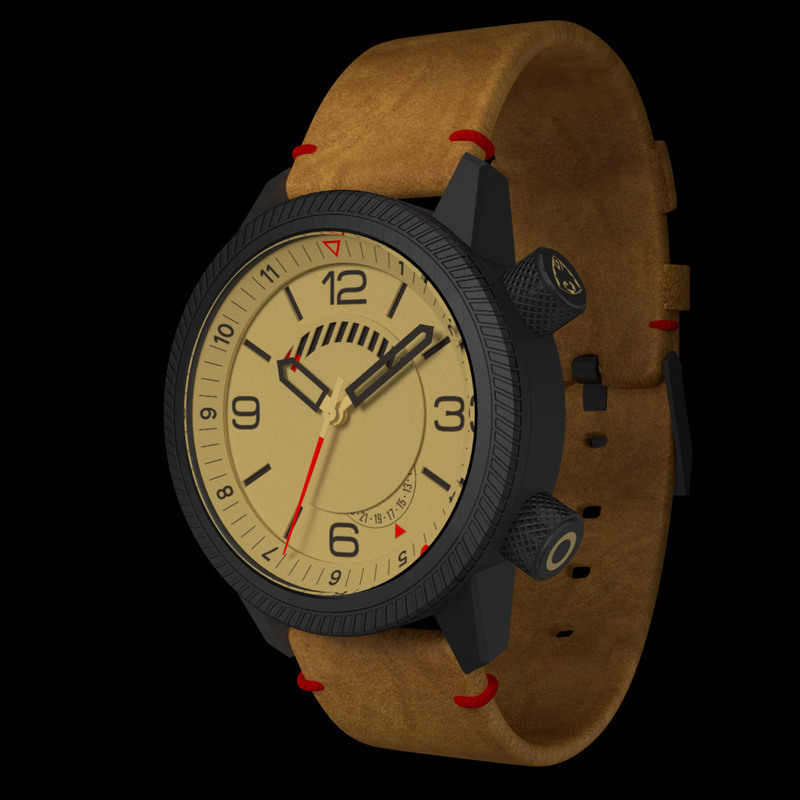 In much the same way, the Kalahari watch is abundant in features, and demonstrates the energy of the watch in a highly visual way. 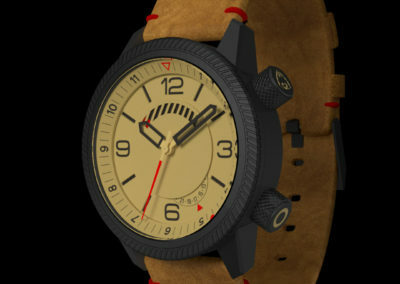 The dial of the Kalahari will use a sand coloured luminous paint, in combination with black. 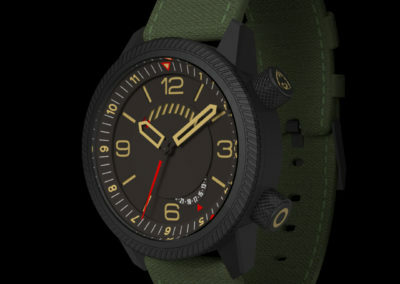 It will come in both full-lume and black dial variants. A wonderful sense of depth is created by the multiple layers starting with the sandwich dial, the power reserve disk, and the internal rotating bezel. 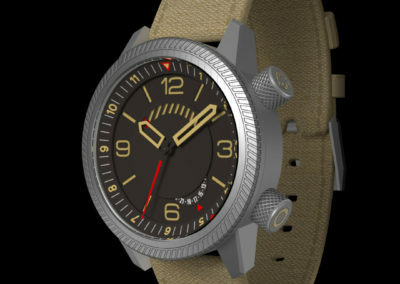 While working on the design of the Peregrine we discovered a new movement from Seiko – the NE57. Coincidentally this movement also had a power reserve indicator (PRI), but it was very different to the Miyota 9130 used in the Peregrine. It’s features include a central axis power reserve indicator, central hour minutes and seconds running at 21,600bph, and a date dial at 6h. We were so excited about this movement, that we set about designing a watch to house it immediately. 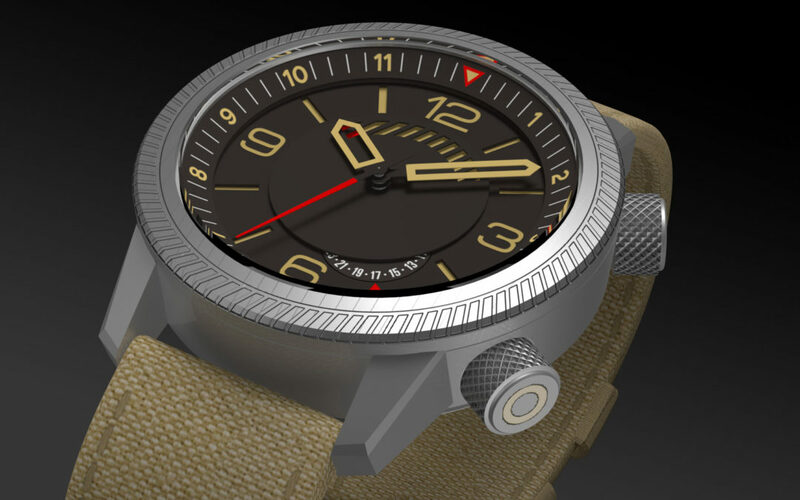 Following the aviation inspiration for the Peregrine, we looked at the altimeter for inspiration for the Kalahari. As with the Peregrine, we have broken a few conventions with the Kalahari. With the Peregrine, instead of using a hand for the power reserve indicator (PRI), we opted for a more subtle approach, hiding the indicator in the logo by means of a coloured disk. 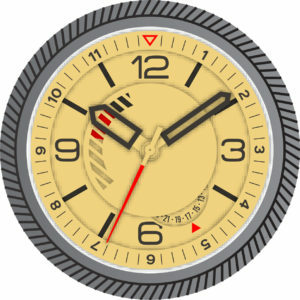 For the Kalahari we used similar methods, but this time having the cutout on the disk itself, showing the coloured dial behind. In a similar way to how the inner disk moves in the below video, we wanted to create the effect of a loading bar on an arc. 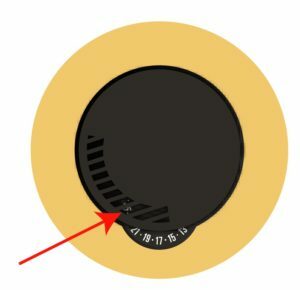 https://youtu.be/RldpO-B5NKw?t=32s To make the loading bar appear as seamless and as clear as possible, we had to reduce the gap between the dial and the PRI hand (H). The obvious solution was to do a sandwich dial. 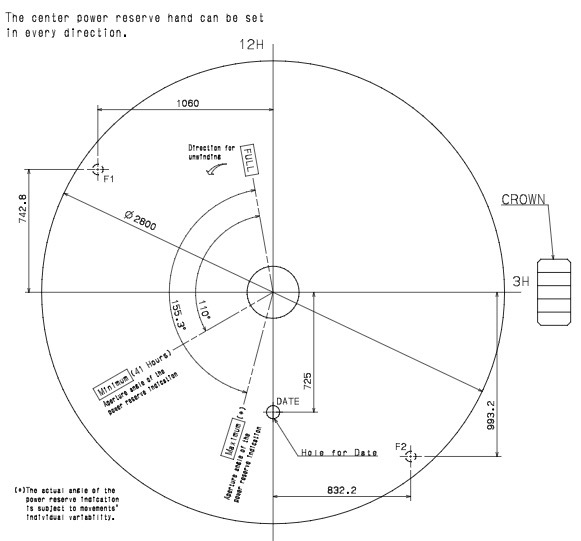 Now we had a PRI disk that was constantly going to cover the date subdial, so it would’t make sense to use a hand. This meant the date would have to be a disk too. It worked out nicely as the date disk would sit neatly inside a hole cut out by the top layer of the sandwich dial. 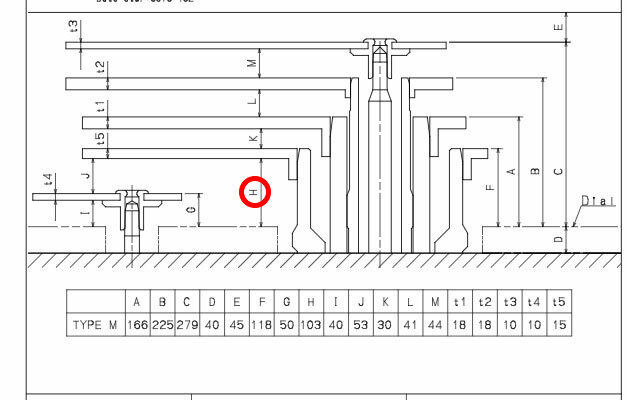 Now came the next issue: When the movement sits in the default position (crown at 3h) then the date sub-dial is at 6h. The degrees of arc from fully wound to unwould for the PRI disk is between 110 and 155.3 degrees. To achieve the loading bar effect the cutout would have to have an arc of 110deg. 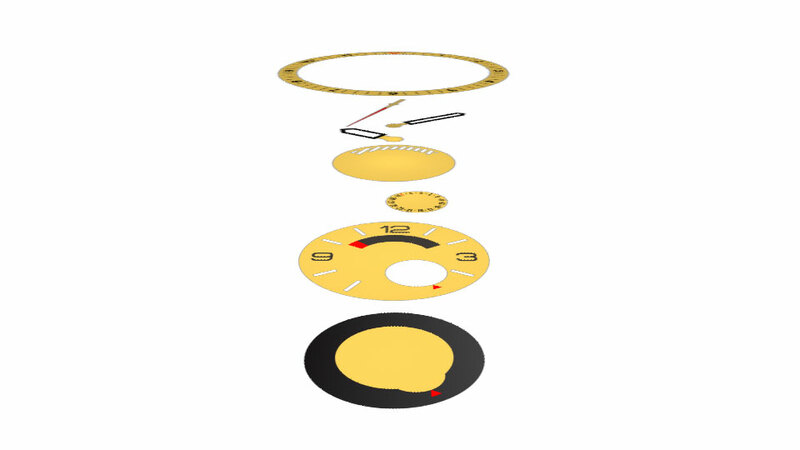 We wanted the watch to appear symmetrical when fully wound, but if the PRI disk rotated 110deg or more when unwound, it would mean that the date wheel would show through the cutout shapes from the PRI disk. Visually this would ruin the illusion of the loading bar. 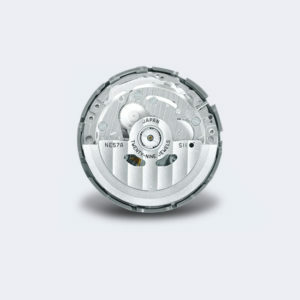 To compensate for this, we decided to rotate the movement 30deg counter-clockwise. This would mean the crown would be at 2h. We could have stopped there and kept it a single crown watch, but we thought this would be the perfect opportunity to do a dual crown! We added the second crown at 4h, and designed the internal rotating bezel. Being an ex-pat from South Africa, I thought it would be great to have a watch with 12-hour GMT function, allowing me to get a quick read of the time in Johannesburg while in Auckland. Some people have commented that our new watch is missing the logo. 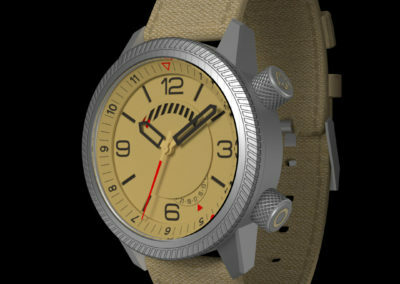 We thought about this and decided that visually it would be odd if the logo was rotated on the dial with the PRI disk. 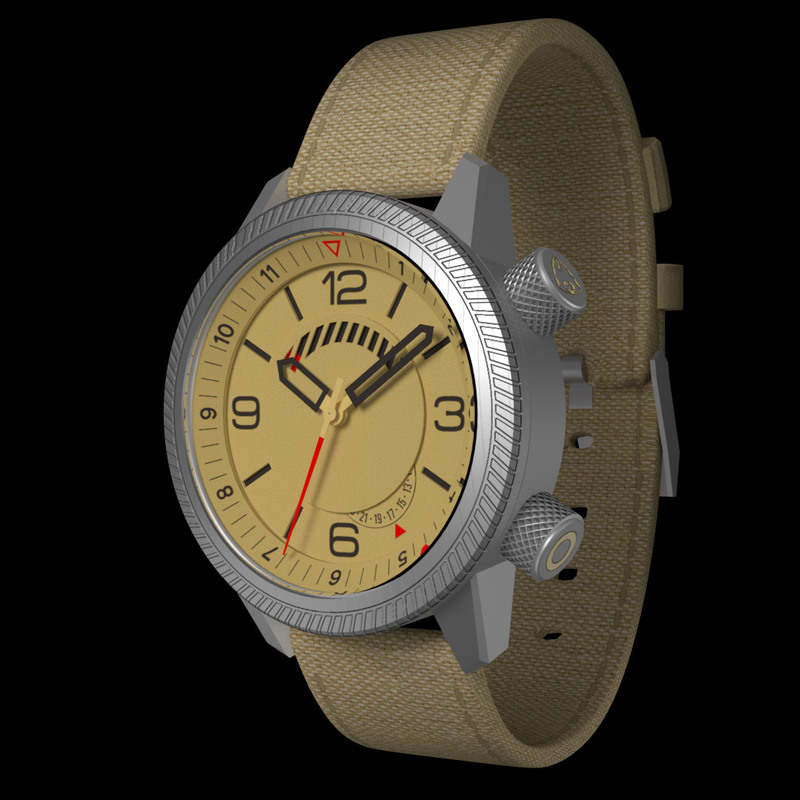 On the bright side, we have made up for the missing logo by designing a really cool caseback! 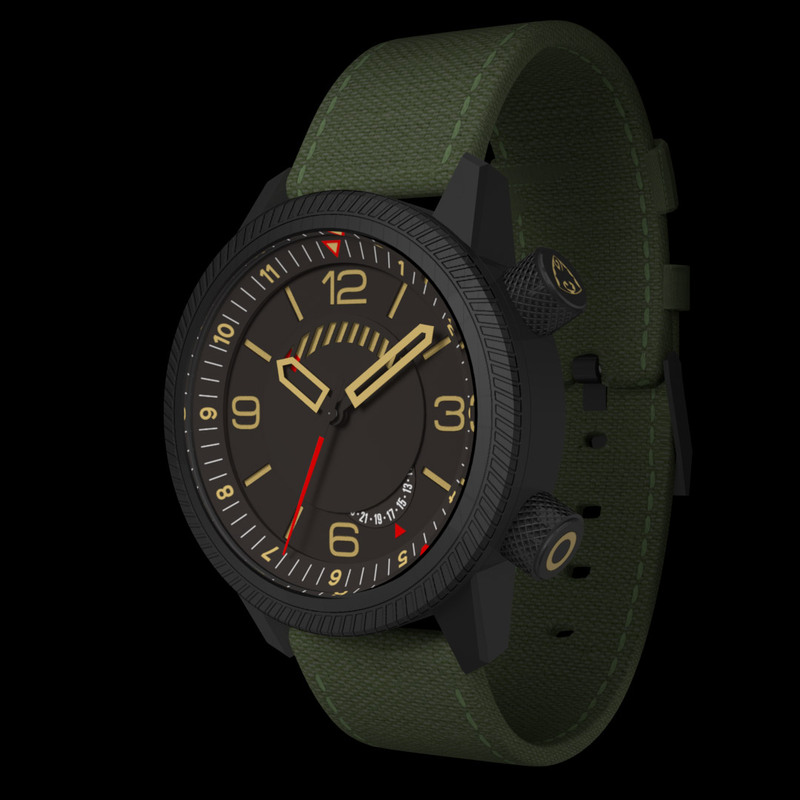 A note on the case – We used the same shape as the Peregrine with a few small changes: We added the radial chevron texture to the bezel to match the design of the loading bar style of the PRI. 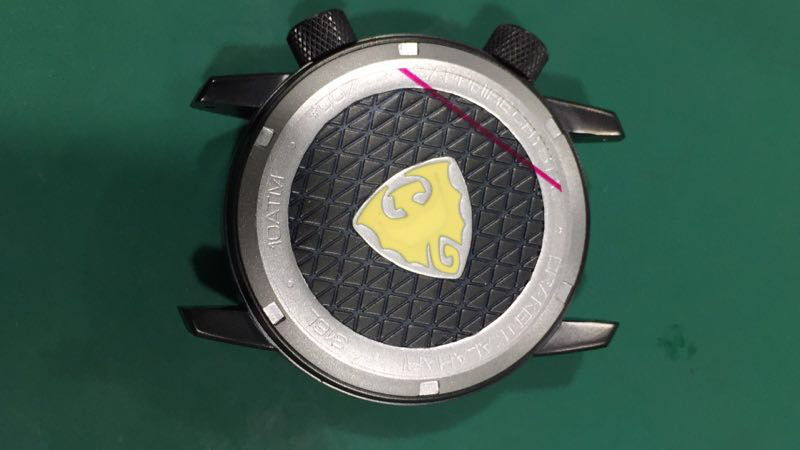 We made a step in the base of the case to make the height of the watch look thinner. And of course, we re-positioned the crowns. 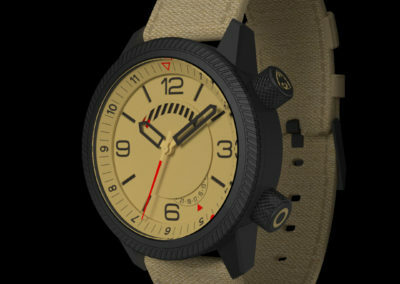 The straps will come in 2 material types, and 2 colours: olive green canvas, khaki canvas, tan leather and black leather. The buckles on the Tugela were extremely popular and comfortable, so we will be going with these again for the Kalahari. 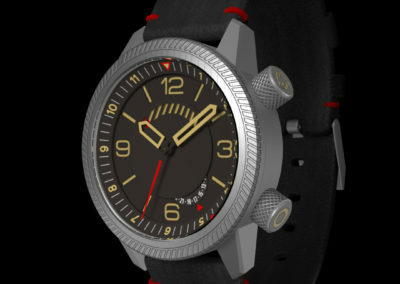 At this stage the prototypes are 90% complete – we are just making a few tweaks to the dial. We should have them in hand in the next few weeks and we cant wait to share some photos! Stay tuned! Big Fan of your work Mike, Keep up the greatness. Thanks Brendon. Appreciate the support! This sounds amazing Mike! Well done indeed! Very, very nice indeed. Especially #2 and #6. The PVD fits perfectly to the beige dial. If the price will be okay I will join in. Thanks Franz. Appreciate your comments. Did you see my email by the way? This looks awesome, will this be on KickStarter like the peregrine? Cheers Colin. Yes, It will be launching on Kickstarter! Well done once again Mike. Looks great. I have the Tugela Red and it is one of my favorites in my collection. I love the black dial Kalahari. Keep the amazing designs coming. Really really like this one Mike. Thanks for the peak behind the curtain. 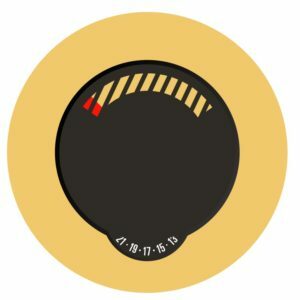 Is there really no way to work the logo in somewhere on the dial ? Thanks Steve. The prototypes are nearly done, so it might be a bit tricky at this stage. I will have another think about it though, there may be another way. Hi Mike, my personal favorites are #2 & #4. Very nice designs. Well done. Looks great! Hoping to catch the pre order on this one! Any way to sign up for an email alert? Thanks Eelco! Appreciate your support. I will give it a go with a green dial and let you know the results. How do I get notified when it goes live on Kickstarter? Mike – I really like the design on your newest project. Can’t wait to see it on Kickstarter! I am still loving my Tugela and am looking forward to investing in the Kalahari. Keep up the good work! Thanks so much for your support! We cant wait to get the prototypes in our hands. 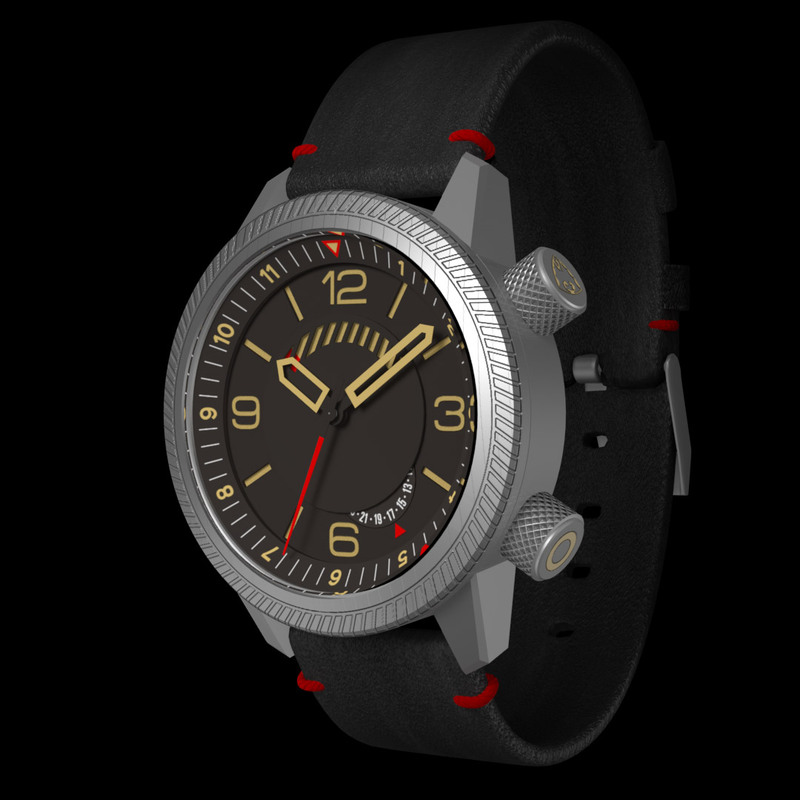 It is by far the most exciting watch we’ve made! Cheers Rob! Appreciate the support. I’m loving my Tugela and it is almost always on my arm. Case: 51.25mm lug to lug, 43.83mm diameter, 22mm lugs, 15.25mm height. I am enjoying this, especially your design explanations. Thank you. Just one comment: Is there any chance of Extra Long straps? Those of us with gargantuan wrists can never use the very fine straps included and sort of wind up paying double: once for the original strap which is useless and then again to order a custom made strap that will actually fit. Just a thought for the fat guys in the world…thanks. Great feedback Terry. For the Peregrine and the Kalahari we are supplying slightly longer straps. With the slightly longer lug to lug dimensions you should have no problem with the supplied straps. What will be the wr? Sapphire crystal?. Can you estimate when is going in production and a ballprice? Thanks Silard. Yes, it has a very unique movement, and a very unconventional design. The WR is 100m. Sapphire crystal with inner AR coating. Production will likely start in July assuming we raise enough funds. Retail price will be US$649. 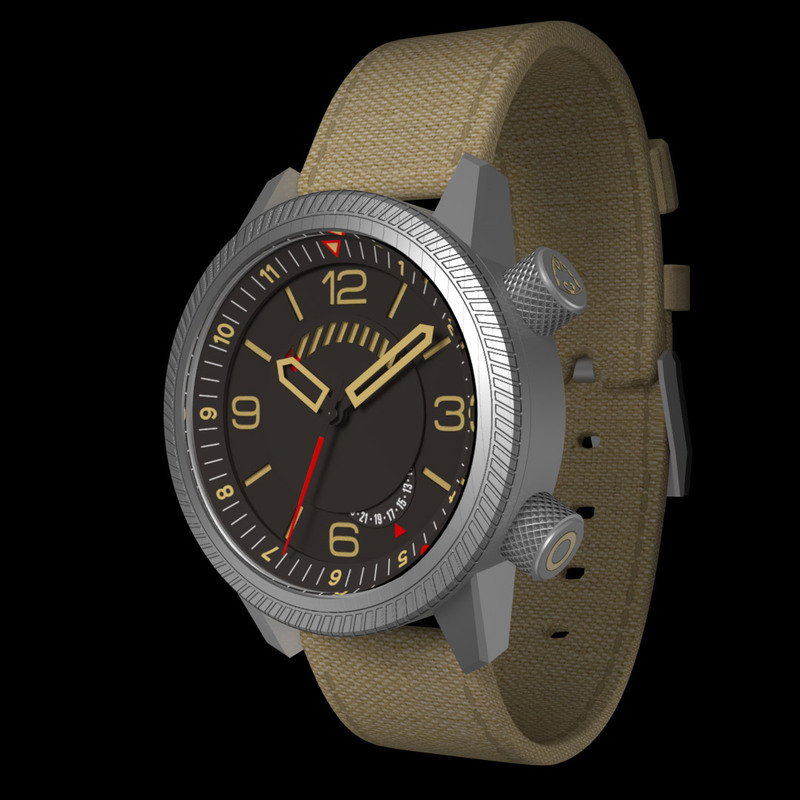 It will have a really good discount for early birds on Kickstarter – possibly US$400. Make sure you are signed up to the newsletter to get notified when it goes live. The proto types look wonderful. I just found out about your start-up a couple of days ago and I am going to be online tomorrow to support the effort. I am looking forward to getting one of these on my wrist. Thanks so much for getting in contact and supporting us. Just wondering how you heard about us? I saw the Kalahari review done on YouTube by WIAA Watch Reviews. just pre-ordered. been eyeing this since the kickstarter. Any idea of production schedules or ETA on targeted shipping? Hey Asim. Thanks for your order and support. We expect shipping to be mid-Dec.